The Performing Arts Centre at Ivanhoe Girls Grammar School in Victoria has been used for the school’s music program and performances since 1996. Despite the Centre’s strengths, its acoustic resonance and clarity have been sub-optimal. To address these shortcomings, the school set out to identify the causes and improve the acoustic performance to support its educational programs into the future. The stage ceiling in the 500-seat auditorium rises 11.5m above the stage floor. 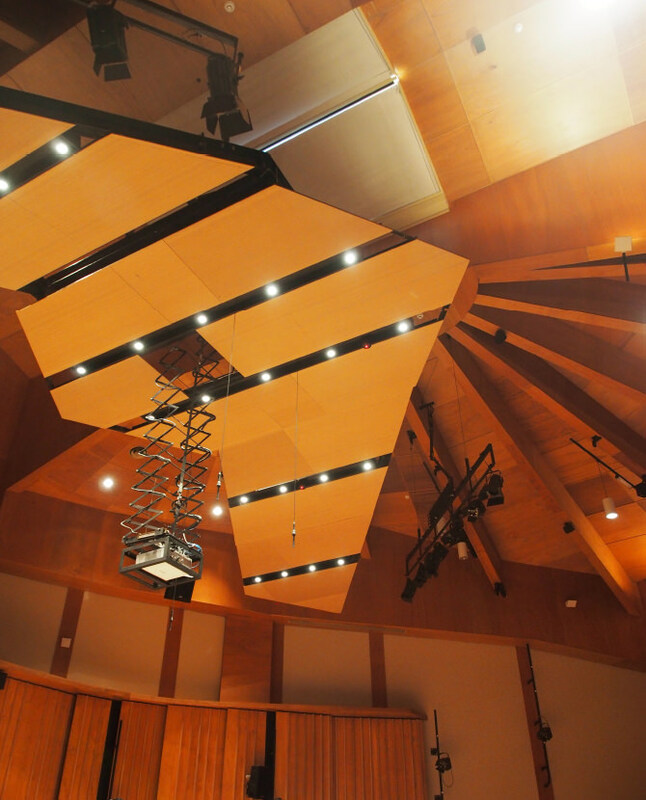 The design team’s solution included suspending a large acoustic reflector above the stage to absorb and deflect sound evenly throughout the auditorium. New acoustic wall panelling, options to improve seating access with revised aisles, upgrades to the seating area and improvements to lighting complement the resolution of the Centre’s acoustic issues. Root Partnerships was engaged to provide strategic advice, project management and contract administration services and work with the engineers, architect and the school to provide structure to the program. Root Partnerships provided management in the design, documentation and contractor procurement with the intent to complete the Stage 1 works over the 2016/17 summer break. The short window of time during the summer break required expert pre-planning and preparation, including design coordination between the Managing Contractor’s subcontractors and the design team to enable as much off-site prefabrication as possible prior to construction commencement.